Poppy, Mark and David will be sharing their story at The Sick Children’s Trust Christmas Carol Service. Picture taken Tuesday 27 November, on a visit to ‘Christmas man’ at Winter Wonderland. 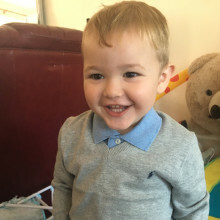 A Tendring family will take centre stage at The Sick Children’s Trust Christmas Carol Service on Wednesday 12 December to tell over 700 people the difference the charity’s free ‘Home from Home’ accommodation made to them when their newborn son was rushed to a hospital over 80 miles away from home for lifesaving surgery. Mark and Poppy Dean, from Walton-on-the-Naze experienced every parent’s nightmare when their son, David, was rushed to The Rosie Hospital, Cambridge at just a few hours old. Shortly after his birth at Colchester General, David experienced a number of seizures and needed immediate, specialist medical attention. For five days, David fought for his life on the neonatal intensive care unit (NICU) and was then transferred back to Colchester before being discharged and taken home for the first time at just a week old. During his treatment in Cambridge, the couple were given free ‘Home from Home’ accommodation at Chestnut House, run by The Sick Children’s Trust. “Without The Sick Children’s Trust, the already overwhelming circumstances would have been a lot worse. “We had only been with David for a few hours before he was taken away from us and rushed to The Rosie Hospital. It had been a difficult birth and Poppy needed care herself, so it wasn’t until the following morning that we were able to be with David. 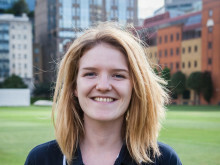 It was an incredibly worrying time as nobody knew what was causing the seizures and what was wrong. “It felt like our whole world had been turned upside. Everything was just so unexpected. But in the midst of all the chaos and uncertainty, The Sick Children’s Trust held out a hand and gave us a place to stay, which was just minutes from our son’s side. This meant we could see David at any time we wanted, day or night, without having to make the four hour round trip to and from the hospital. We could hold his little hand throughout it all. 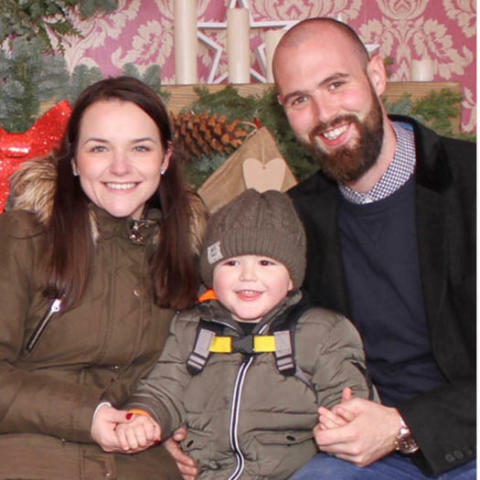 “The Sick Children’s Trust Christmas Carol Service is our much-loved event of the year and we’re delighted that Mark and Poppy will share their story on the evening. We hope to raise over £15,000 which will go towards keeping more families, like David’s, together in comfortable and close accommodation. 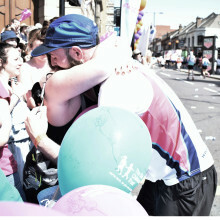 Mark Dean completed the Virgin London Marathon and has raised over £6,000 for The Sick Children's Trust.